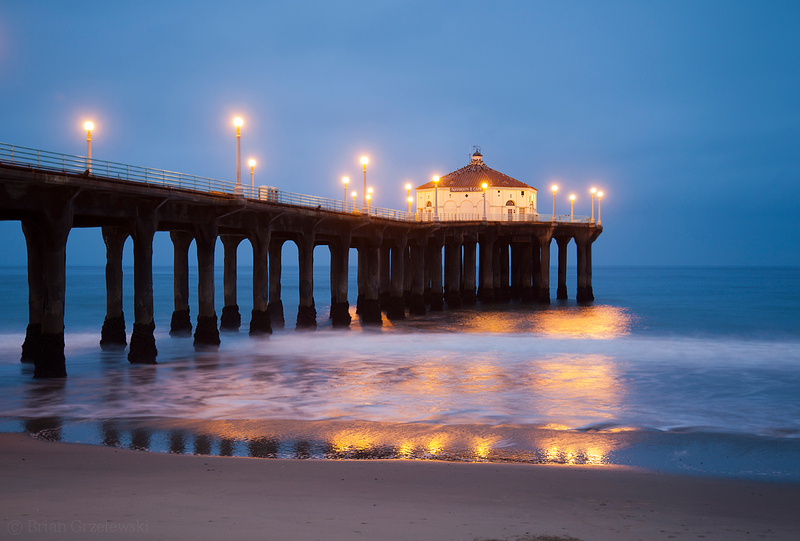 Being at the Manhattan Beach Pier before dawn reminds me of playing in beach volleyball tournaments. Wow, that was more than 10 years ago, now. I hope I can play there regularly again someday. This entry was posted in Los Angeles by Brian. Bookmark the permalink.